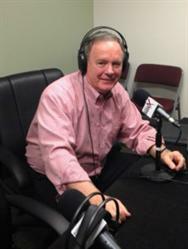 ATLANTA, GA--(Marketwired - March 25, 2015) - On February 26, 2015, Top Docs Radio welcomed to the studio Frank Martin with Medical Consultants Group. Host CW Hall sat down with Martin to discuss patient engagement and improving medical practice operations. Founded by Martin, the Medical Consultants Group equips physicians and practices with the tools and knowledge they need to provide superior patient care and achieve maximum profitability. With over 20 years of experience in practice management software, HIPAA compliance, and medical billing analysis, Martin provides the strong leadership and coordination necessary to facilitate a complete transformation of a medical practice's financial and operational processes. Martin talked about strategies for helping patients related to managing their out-of-pocket obligation, including deductible and co-payment. Medical practices are now required to provide an electronic portal that allows remote access to patient data by the patient, coupled with a means to transmit and receive relevant information to and from patients. This requirement of all medical practices is where Martin's organization steps in. At the start of each business relationship, Martin's team of medical billing consultants conducts a thorough analysis of a practice's billing and collections at no charge. This free examination allows them to see where a practice is losing money, and develop a plan to recover more revenue with the existing patient load. Explained Martin, "If your practice is not getting paid on 90% of your claims submitted on the first pass, you need to call us." Hall and Martin also discussed the difference between legacy EMR systems (where software was installed on hardware in the office) and cloud-based applications where data and the software exist on a remote cloud-computing-based architecture. The decision-making capability of the cloud-based applications, coupled with security and rapid access to important data, make modern cloud-based EMR applications the wise choice for practices to convert to today. To learn more about Martin and Medical Consultants Group, listen to this entire interview on Top Docs Radio.